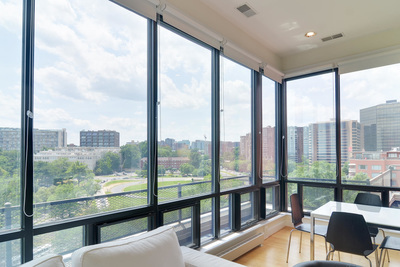 Situated across the street from the Iwo Jima Memorial and adjacent to Washington, D.C., River Place South offers nonpareil views of the metropolitan area and monuments from the banks of the Potomac River in Rosslyn, Virginia. 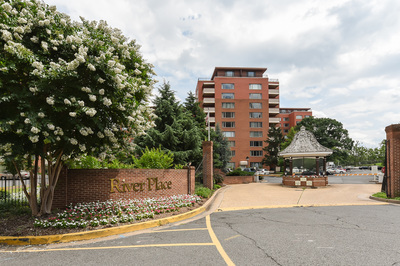 One of four independent housing cooperatives collectively known as River Place, the South building is comprised of approximately 400 units, 70 of which are owned by the shareholders of the building. 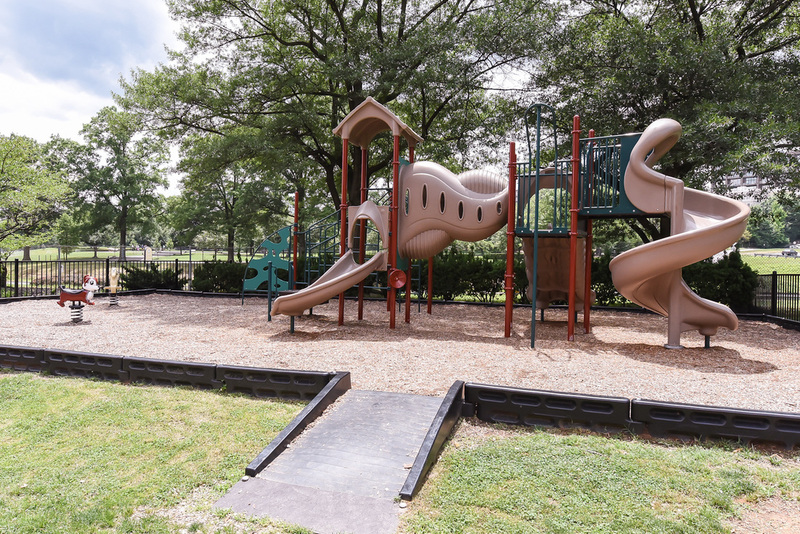 River Place South is an ideal first home for those moving to the area as well as long-time residents. 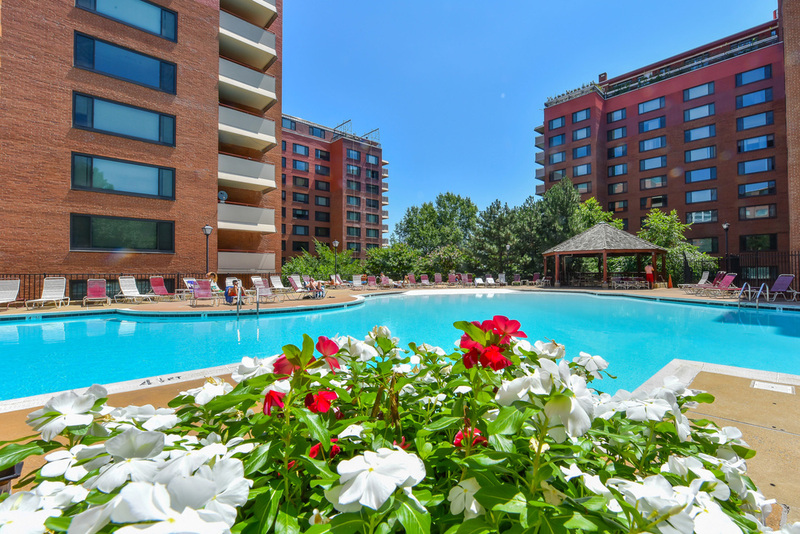 Those living here will enjoy spectacular views of the nation’s capitol and her iconic landmarks including the Iwo Jima Memorial, Arlington Cemetery, the Jefferson Memorial, Kennedy Center and the National Monument. We are a gated community with a 24 hour patrol stationed at the entrance. Transportation is a snap. Take the two block walk to the Rosslyn Metro station (Orange & Blue lines), or walk just outside our gates to catch the Georgetown Shuttle or the Georgetown University Transit Shuttle. Iwo Jima and Freedom Park are just across the street. Enjoy the beautiful Potomac River bike paths and jogging trails or the famous Fletchers boat house just across the Key Bridge along the canal. Surrounded by the progressive area of Rosslyn, nightlife, theater and restaurants abound. Just a short distance up Wilson Boulevard you will find the Clarendon shopping areas and busy markets. 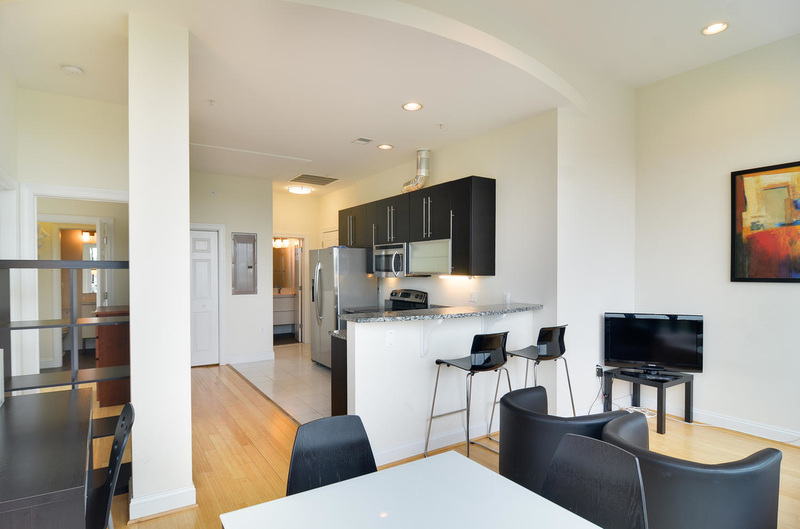 We are within walking distance of CVS, Safeway Food Stores, Starbucks, Chipotle, the US Post Office, and much, much more. Inside the River Place enclave you will even find our own River Place Market, Hair Salon and Dry Cleaners. 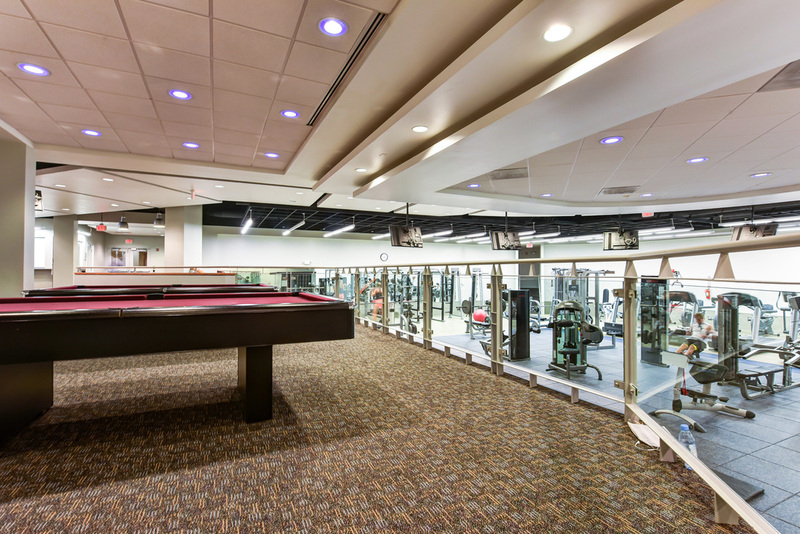 The onsite fitness and entertainment center, renovated 4 years ago, is located in the South Building. Just walk downstairs for your workout. And just beside the South building you will find the olympic sized swimming pool, lap lanes, outdoor jacuzzi and pool house. 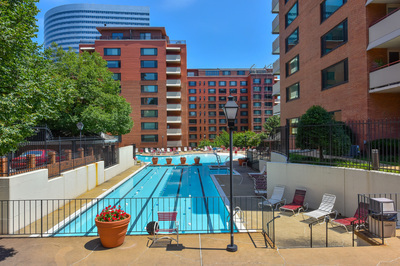 Apartments include all utilities (water, electric, sewer and natural gas), free wifi, and membership to the entertainment & fitness center and pool. River Place South is located in the heart of Rosslyn, VA, situated on 16 manicured acres at the junction of four major highways (Rt. 50, Rt. 66, the George Washington Parkway, and I-395). 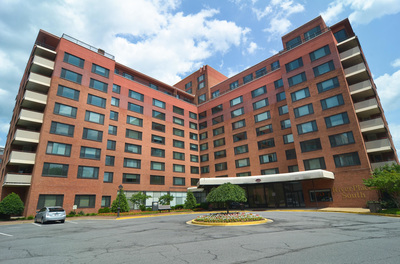 We are only two blocks from the Rosslyn Metro station, which is served by the Orange and Blue lines, as well as seven different commercial and public bus lines. Georgetown is just a quick walk or commuter bus ride across the Key Bridge. Bus service is available from Rosslyn to New York City, National Airport is only five metro stops away, Bike Arlington provides bicycling maps and information, and Zipcar has ten vehicles available in Rosslyn that can be rented by the hour. There are many fine area restaurants. 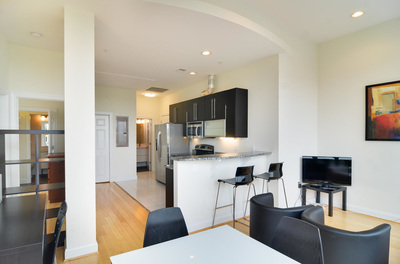 Residents are attracted to River Place South's premiere location but stay for our amenities. Resort Style swimming pool with graceful beach style entry, lap lanes and separate hot tub/jacuzzi. Pool Clubhouse recently renovated. Guest passes are available at the RPOA office in the Entertainment Center. With the gym located in the River Place South building, there is no need to brave chilly weather when you want to work out. 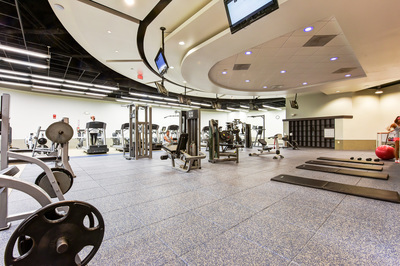 New state-of-the-art fitness center featuring circuit/free weights, cardio equipment, a steam room, dry sauna, billiard tables, ping pong, TV’s, and locker rooms. Free towel service and on duty staff. Available for private rental by reservation. Security watch including lockout service. Lockout fee is $15.00. Hours are M-F 9am – 11 pm, Saturday & Sunday 9-9. Courtesy acceptance of packages for all registered residents. Picnic area with BBQ Pits on premises. Grill available by reservation. River Place Market (703) 524-4567 Food, Drinks, Movie Rentals; 8-11 M-F; 8:30 – 12 Midnight. River Place Hair Salon (703) 528-0614 10-8 M-F; 10-6 Sat. Closed Sunday. ​River Place Valet (703) 528-0787) 7-7 M-F, 9-4 Sat. Closed Sundays.